Senior Volunteers are a great asset to any community. We can fill in the gaps for both public government and private employers. We are welcomed into the work place to help with the load... plus it helps us, the seniors, too! but suddenly you have so much time, loads of free time. What will you do during your previous working hours... if you were a 9-5 office worker, what will you do with 40 free hours, week after week? If you worked longer hours as many do, your work might be your Life! You have lived a life of working -- in the home, for your employer, for yourself. You can't simply retire to the rocking chair -- even if you aren't physically active, we must keep the brain working... even crossword puzzles, reading books, or computer fun will help. Most people need more -- some level of responsibility, some type of structure to retired life. You actually need a reason to get up in the morning! 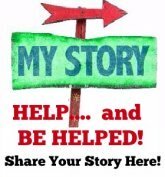 Here is MY story, when I volunteered for an emergency homeless shelter at our church... this was a Life Lesson about Volunteering for me! WHY do you want to keep busy? Everything you do is an adventure in Life! You'll find new friendships, maintain your self-esteem, find creativity in your life, develop new skills (never stop learning), and just generally find fun and contribute towards your well-being while helping others too! Well, if you are sitting in the house, bored to death, why not get out and meet some new people? By volunteering, you get both physical activity moving about (instead of becoming a couch potato) and you also get mental activity to keep you thinking correctly. It's simply a Win - Win for You and the Employer! Here are some Volunteer Quotes from important folks who know the wisdom of volunteering. Ruthie volunteered at the local community college theater after she retired. She loved it. She answered calls, took reservations, sold tickets -- and she got to see the shows for free. Worked out perfectly for her.. what fun! Guess what? Before I knew it, Ruthie was working full time for the college... she volunteered, did her job well, and they offered her a full time job. I remembered how thrilled she was.. collecting her pension and now a second salary as a younger retiree! AND the employer got to see what a great employee she was, first hand, before she was even hired! IT was a win-win or both employee and employer! Volunteer Sites online can help you too... all of them allow you to search locally for volunteer opportunities. Senior Corps is a U.S. government site for seniors... read volunteer stories here too. Senior Volunteer for CASA - becoming a Child Advocate for children who needs a hand in life! screen. If I didn't like any of them, I'd use new keywords, "websites", "typist ", "library", etc, until I found something that sounded interesting to me. SCORE is a volunteer agency, part of the U.S. Small Business Administration, full of retired volunteers who counsel small businesses. The HUD website (Housing and Urban Development) has oodles of volunteer opportunities: local, national parks, Red Cross, Big Sisters Big Brothers, American Cancer Society, and so much more. There are several Volunteer Clearing Houses at the bottom that will help you find a match with your skills and abilities. Have you ever considered international travel as a volunteer opportunity? What about the Peace Corps? Another retiree, Karen, retired and left a mental health counselor position to join the Peace Corps! I was so shocked... just when you are ready to live in relative stability and comfort in retirement, and this gal packs all her lifetime belongings into a storage unit and heads to South America for two years! Guess what? She enjoyed her mission, teaching English, so much that she stayed for a second two years! What a wonderful way to start off your retirement by giving back to the world! Another Idea: 50+ Senior Volunteer Programs Abroad... try this! Looks like fun! You can search Google below for local volunteer ideas, for example, I might try: "Michigan senior volunteers". Try your own state, or even city/state to see what pops up. If nothing that appeals, try again in a few days! I might volunteer at some point, give back to my community... but for now, I have retired to the internet! Chuck delivers Meals on Wheels, helping other seniors. Danny spends time volunteering to Feed the Homeless, community help is always needed. Ruthie found a great opportunity at the Philadelphia Film Festival. Bob appreciated art so his idea was volunteering at an Art Museum. Do you have an experience to share with others to put "volunteering" into perspective? Enter Title of Your Volunteer Experience here..
Click here to submit your own Volunteer story! Volunteer: child carer, also animals and the elderly. Volunteers and Reads the News for Radio, In His Retirement.